The Exeter Higher Cemetery has some unusual features. This large cemetery is zoned into specific areas for defined groups such as Church of England, Dissenters, Catholics and so on. Therefore bodies are rarely buried in a single large plot. Also curious is that some of the First World War burials are marked by simple markers, bearing only the name of the soldier. 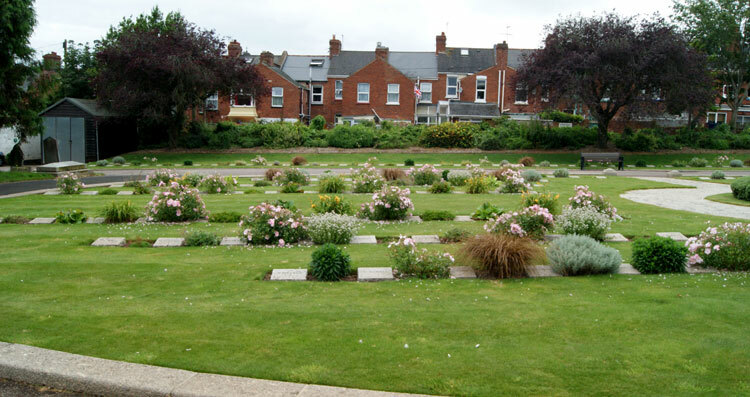 Of the 217 First World War burials in Exeter Higher Cemetery, more than 180 form two war graves plots near the entrance. The Second World War plot contains most of the 121 Second World War burials. The rest of the graves are scattered throughout the cemetery. The Second World War plot also contains 62 war graves of other nationalities, most of them Polish and German. 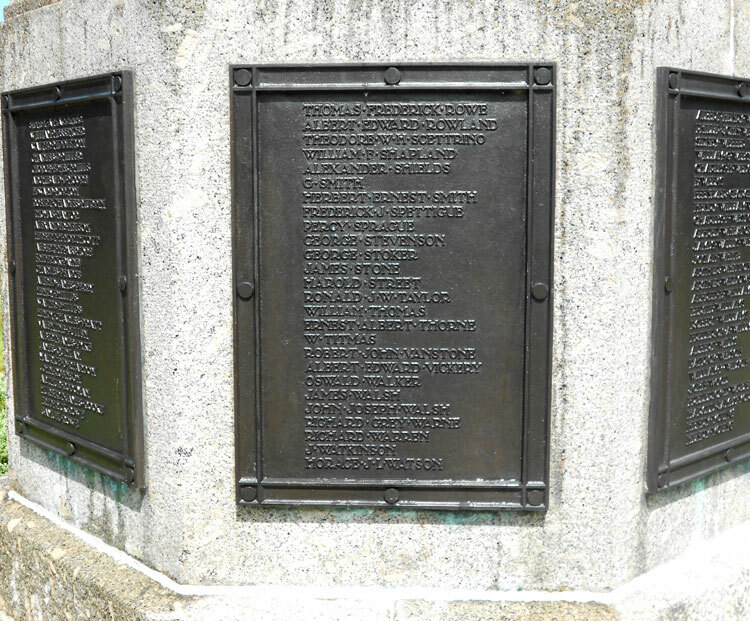 A Memorial located near the two chapels includes the names of those buried in War Graves on plaques around the base of the Memorial. 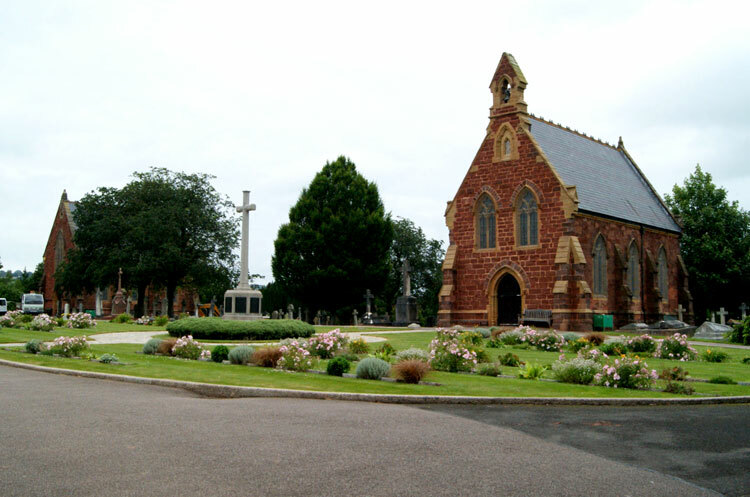 A very comprehensive website, http://www.devonheritage.org/Places/Exeter/ExeterHCWarMemorialIndex.htm, provides details of the cemetery and the names of all those commemorated. 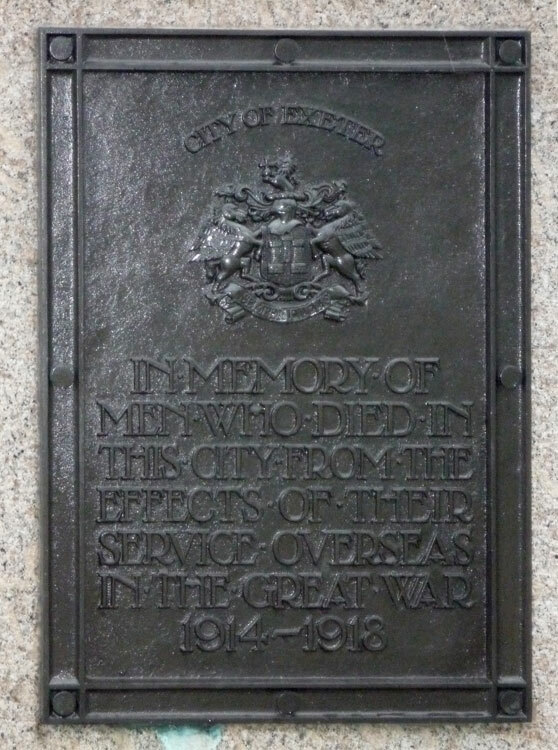 Additionally, Ann Brewitt (<ann.brewitt@btinternet.com>) has conducted some research into the Exeter Higher Cemetery Memorial, and her notes are attached beow. We are very grateful to Linda Lear (<linda@lear20.eclipse.co.uk>), Ann Brewitt (<ann.brewitt@btinternet.com>) and to Norman Cummings (<norman_cummings@hotmail.co.uk>) for providing photographs of this soldier's headstone, and of the First World War burial memorial. Private Frederick John Spettigue. 42461. 9th Battalion the Yorkshire Regiment, formerly 154303 R F A. 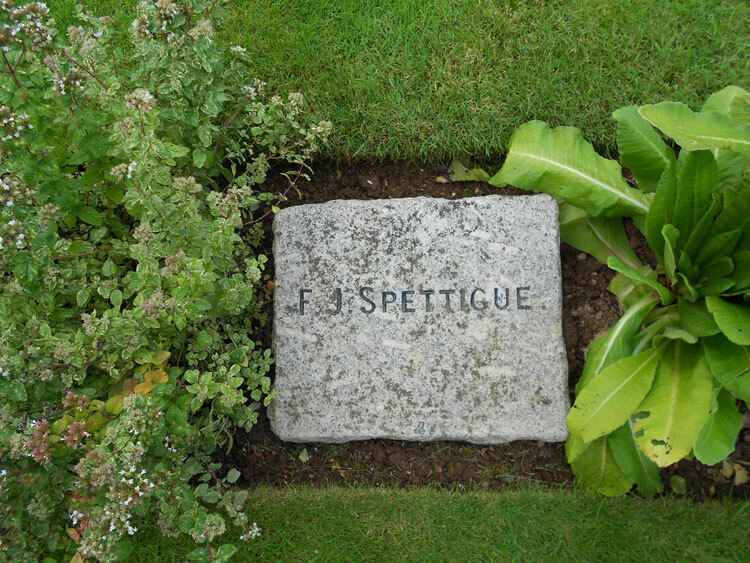 Son of Mrs. Jessie Spettigue, of 20, Paris St., Exeter. Died at home 21 September 1917. Aged 19. The War Memorial at Higher Cemetery has some unusual features. I have now had the opportunity of researching further with the help of Exeter City Council bereavement services (Manager) and Devon Heritage (Editor) and I feel that in all probability, the man in question is buried within this plot, as we know his burial date, Grid reference, interment number, locality, and sec.F.149. I have also checked the names of the men F148-F150 on either side of Frederick John Spettigue and their interment details run in sequence. 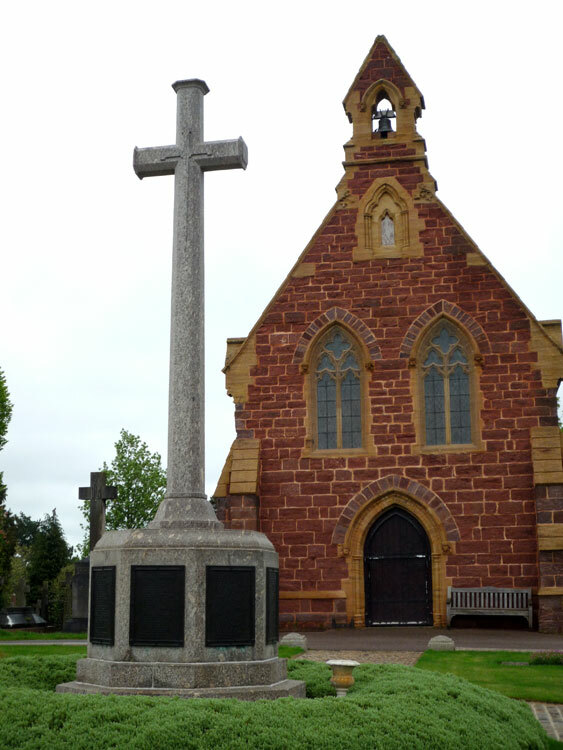 The plot of land in front of the chapel was set aside by the Council as a commemorative plot early in WW1. Sadly it proved too small in the end, and some of the men had to be buried on the other side of the path. Military burials took place in the years between 1914 -1922 within the circular plot of land around the cross, the men found their final resting place within days of their death. Temporary Markers were put up by the Council and families were not allowed to put in gravestones of their choice. All the makers were eventually replaced by the simple granite slabs in place today. The memorial was unveiled on Thursday 13th July 1922. I have now been able to locate the grave of this man’s parents and unfortunately there is not a headstone, I was hoping that there might have been a mention of him.